Although the refiled bill reflects significant changes based on input received previously, Representative Lori Ehrlich, Representative Will Brownsberger, and Representative Alice Peisch continue to solicit input on the bill. If you have any suggestions (or questions), you can reach out to any of them or to me (Russell Beck), or add your comments directly at a website set up to facilitate discussion about the bill: OpenMassHouse.com. 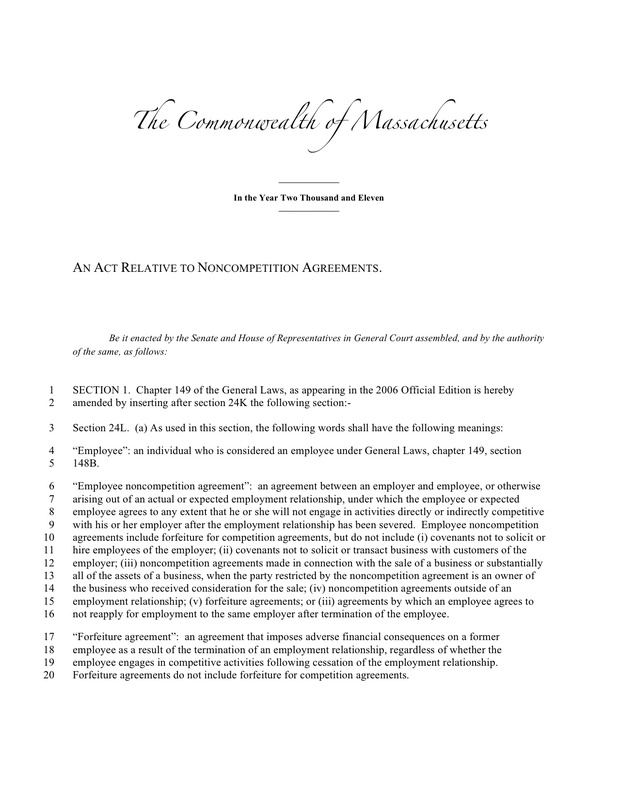 Please note that the bill has been assigned to the Joint Committee on Labor and Workforce Development, which will hold a hearing on the bill on September 15, 2011.